professionalism and attention to detail. Experienced General Manager who has spent 35 years in the Glass & Window Film Industry. Michael has worked in all facets of these Industries including Installation, Sales, Management & has also owned & operated successful businesses for more than 15 years! A passionate Bombers supporter and lover of all sports; Michael Loves to celebrate “wins” which often ends in 70’s & 80’s sing alongs! 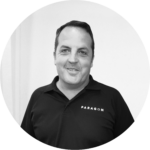 Daniel Smith, has over 25 years experience with PARAGON and has seamlessly stepped into the role as General Manager Perth. 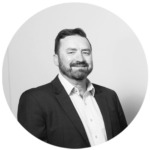 Daniel is highly skilled in Sales, Project Management and Business Development and has developed many skills to compliment his position over an accomplished Career. Outside of work Daniel in involved in CAMS off road racing, he also enjoys time with his family, fishing, camping and 4×4. 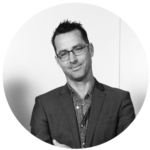 Nearly 20 years in the industry succeeding in roles including Installing, designing, printing & Management. Customer service, attention to detail, Industry knowledge & passion for his team & business highlights what Wil brings to the business! Away from work Wil is a devoted Husband & Father of four Children! Wil can also be found on the beach as he has always been a passionate surfer. More than 21 years now in the Window film industry starting on the shop floor tinting cars & applying treatments. 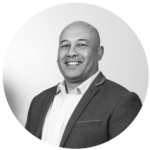 With his always positive attitude and endless energy Nelson has grown from those humble beginnings into an Industry expert with outstanding Technical knowledge & passion for Customer Service. A Father of four young children Nelson is kept busy on the weekend attending to all their sporting needs.